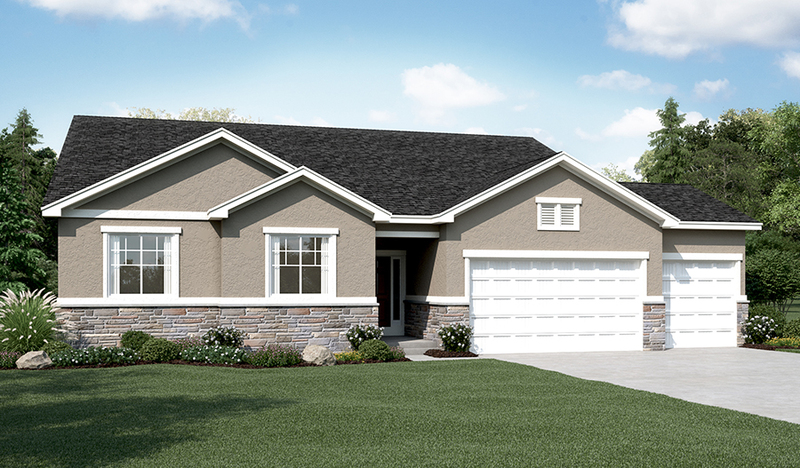 A charming covered entry welcomes guests to the ranch-style Daniel II plan. The open kitchen includes a center island, walk-in pantry and adjacent dining room, and the spacious great room with optional fireplace is perfect for entertaining. The lavish master suite boasts a private bath and expansive walk-in closet, and is separated from two additional bedrooms for privacy. Other highlights include a central laundry and quiet study. 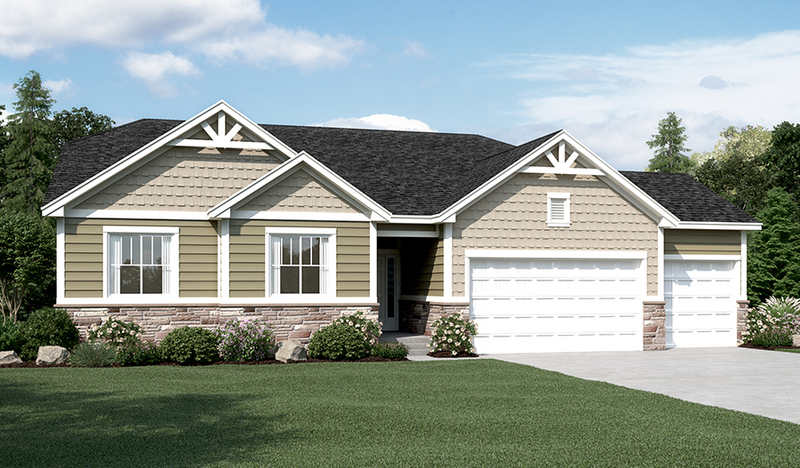 Personalize this plan with a gourmet kitchen, sunroom, master retreat, additional bedroom, finished basement and more! ✝Square footage and plan dimensions are approximate and may show approximate total available footage with finished and unfinished footages listed separately. Unfinished areas may be available to be finished. Finished basement areas below-grade may vary in value from finished above-grade areas. Actual homes may vary from renderings, which may depict optional features, furniture layout and/or an elevation that may not be available on all homes which may change the footages and could change without notice. Drawings may not be to scale. Some structural options may not be available in combination. Ask a sales associate if you need assistance in personalizing your plan.